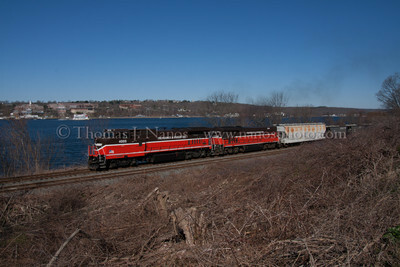 NR-2 along the Thames Providence & Worcester train NR-2 heads south in Preston, CT along the Thames River past a sunken barge. 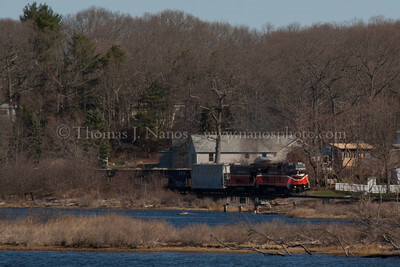 Two trains in One A combined Providence & Worcester train - consisting of NR-2 on the head end and NR-3 at the rear - makes their way along the Thames River in Preston, CT. 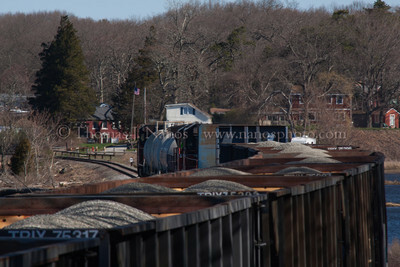 Train In Two Towns With the head end of P&W NR-2 in Ledyard, and its tail end, along with NR-3 in Preston, the combined jobs continue south along the Thames River and Poquetanuck Cove. 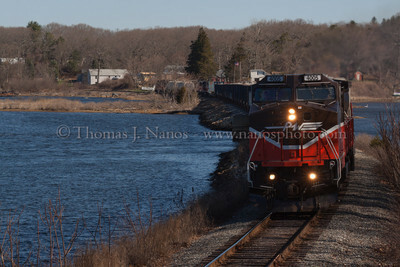 NR-3 closing in Providence & Worcester train NR-3 heads for the Preston/Ledyard border near milepost 8 on the P&W's Norwich Branch. 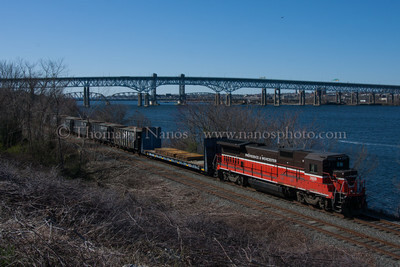 NR-2 and two bridges The tail end of Providence & Worcester train NR-2 rolls through Fairview Yard in Groton, CT with the I-95 Gold Star Bridge and Amtrak Thames River lift bridge in the background. 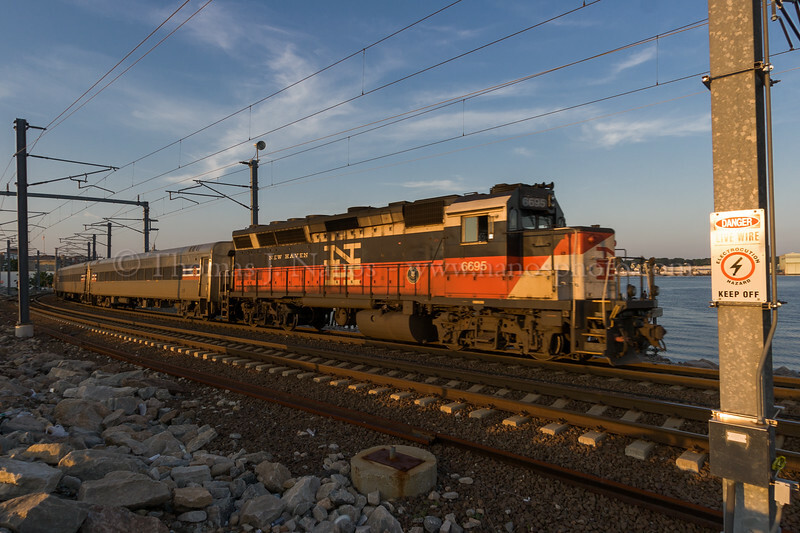 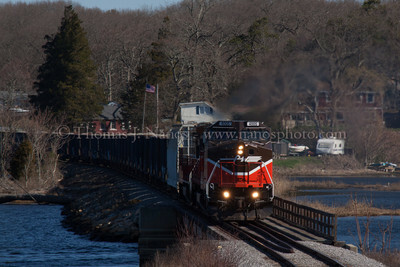 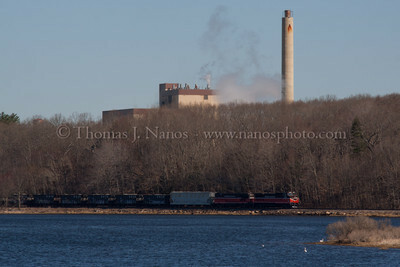 A combined Providence & Worcester train - consisting of NR-2 on the head end and NR-3 at the rear - makes their way along the Thames River in Preston, CT.